In a musical terrain where fans are reduced to digits on a Facebook page, the emphasis on actual face-to-face supporter acquisition has plummeted. Pictures and signed apparel are trumped by @ replies on a Twitter feed and RTs following a performance. Up and coming artists dip out on studio sessions to make sure their follower and friends count stays above one to one. Who better to clap on the lights of reality than a quartet of emcees who have their hard-earned fan base to thank for their fully stocked cabinets and the three-eyed symbol etched tee shirts on their backs? 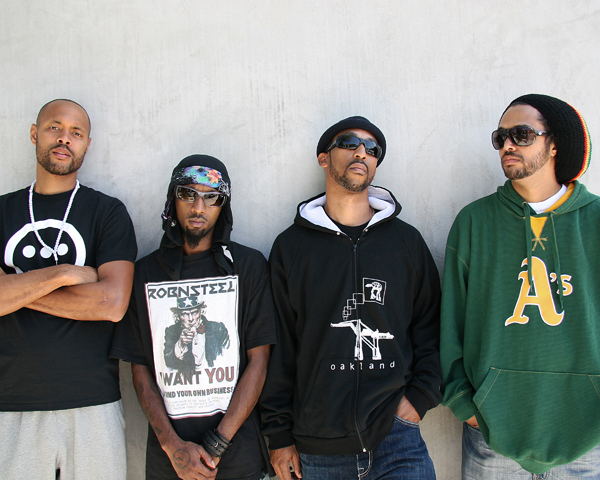 Thanks to their dedication to these fans, Souls of Mischief are 16 years deep into infinity. Mostly devoid of any sort of mainstream success since 1993, Tajai, A-Plus, Opio and Phesto D epitomize the show-by-show, record-by-record tactic that is prescribed by their career’s longevity. 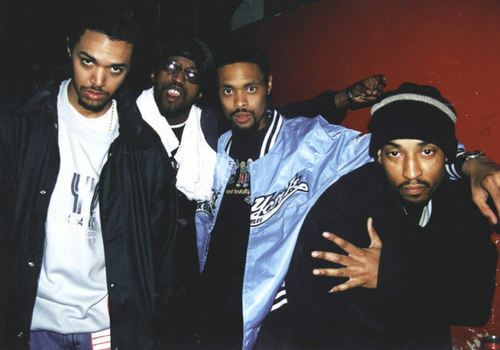 For their first album in almost a decade, the original group within the greater Hieroglyphics constituency brought Stetsasonic, Gravediggaz, and De La Soul production wizard Prince Paul into their close-knit fold. Soul’s trademark lighthearted realism, steady rocking, and non-stop touring has branded them as certified veterans of underground Hip Hop. With the Montezuma’s Revenge release in full effect, A-Plus, Tajai and Opio spoke to HipHopDX on what it takes to survive in a group, in Oakland and in Hip Hop. HipHopDX: Montezuma’s Revenge is out, your first album in years. What do you think of how it turned out and the overall response to it? Opio: It’s been a long time coming. Souls of Mischief have been out so much on tour, doing records with Hiero and our own solo records but the opportunity to work with Prince Paul, he’s an architect. Working with that dude was a dream come true. People who respect the real foundation of Hip Hop are showing love for this record. We are blessed right now. DX: Did you find that Prince Paul had a big influence on how you guys recorded this album? I noticed that the overall sound of the album was more nuanced than what I was used to hearing from Souls of Mischief. Tajai: I’m working with one of the best producers in the music game. To have a dude whose records have been so much of a foundation to how we even got to the point where were at, all in a house together, chillin’, playing beats, making songs, that brings out a whole different dimension. I got A-Plus, Opio, Dominio, these are in house production dudes who got hits, slappers. Then you got Prince Paul and these dudes are all living in the same house. We’re living in the same house making music. Music is organic right, so just being there and living with it and letting it grow, that’s how it came out. It was more of living together and we went over a lot of beats.